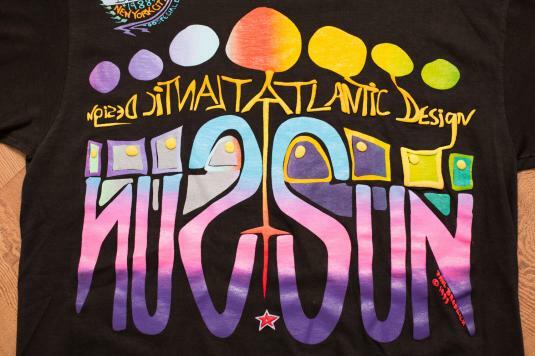 For sale here is a vintage 80s Atlantic Design "Sun" t-shirt with graphics by Paul Bradicich, New York City, ©1988. Lots of the yellow parts of the graphic are a foam-like paint that gives the art more dimension and texture! It is a 100% cotton "Miller" brand shirt, made in the USA. The tag states size XL, but please see measurements below to ensure proper fit. The shirt is in excellent condition with no tears, holes or stains! The graphics are excellent as well with no cracking or peeling.